It’s the place to see and be seen in the city since 1963… Welcome to the undisputed Grande Dame of the Far East. At the Mandarin Oriental Hong Kong, the sense that you’re walking into a legendary hotel is unshakable from the moment you enter the lobby. Contented murmurs fill the space and everywhere you look, corporate types dressed in tailored Hermes suits look like they are on their way to a fashion show. To many locals, the “Grande Dame of the Far East” (as she is lovingly called) is an institution, holding the title of Hong Kong’s first luxury hotel that set the benchmark for all others. To tourists, she is just the perfect introduction to the city with her unbeatable location in the heart of the business district, intuitive staff, Michelin-starred eats and a spa designed over two floors to be an environment for complete holistic rejuvenation. For well-to-do Hongkongers, getting a Shanghainese pedicure at the Mandarin Salon or a shave at the barber is almost a rite of passage, while elsewhere, the famous afternoon tea served at the Clipper Lounge is a time-honored tradition that regularly attracts the city’s movers and shakers. Each guestrooms has individual style, decorated using exquisite material. Be pampered at the Mandarin Spa, a haven of tranquility offering holistic treatments in luxurious surroundings. I would like to commend Nico on the reception desk - wonderful service and incredibly helpful. An excellent member of the Mandarin staff! The service at this hotel is exemplary. I stay at MO HKG several times a year &amp; am always impressed - excellence is simply their &quot;standard&quot;. Classic hotel with generally very attentive staff. Would highly recommend. Great hotel, wonderful service and facilities. Very good hotel. We were very happy with the limousine service from and to the airport. last but not least: we really want to give a compliment to Mrs Indira Pun. She's great! A luxury hotel in an extremely convenient location. Always service with a smile. 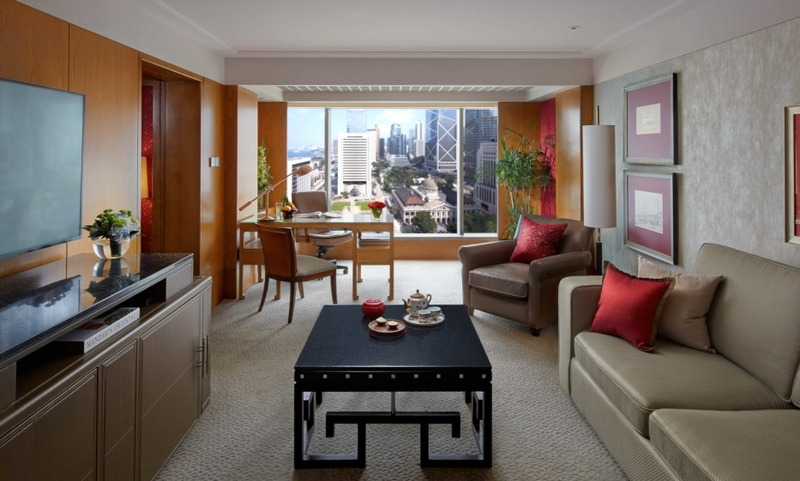 It is very difficult to single out one area of excellence at The Mandarin Oriental, Hong Kong. From the moment that we were collected at the airport in the Hotel limosine to the moment that we departed eight days later. We were made to feel like Royalty. The staff in all areas are the most courteous people that we have had the pleasure of dealiong with anywhere in the world. We sampled all the restaurants and without doubt the Mandarin Grill wher we dined twice is certainly the best restaurant in the world. Well done to the Mandarin Oriental, we will be back again. Excellent accommodation, excellent service, all round very good. This property is a pinnacle of luxury, quality, service, kindness. The decoration and the room equipment are perfect. The staff is impeccable, whether at the reception, bar or restaurants. It is beautifully situated in Central, 10 min. walk from the ferry terminal to Kowloon or the other islands such as Cheung Chau. Hollywood Road is 10 min. in old tram. Cozy luxury hotel, not ostentatious, impeccable service marked by kindness which makes it very difficult to leave the hotel! Heavenly luxury in a busy city !! !